Initially this game wasn’t on my radar at all. 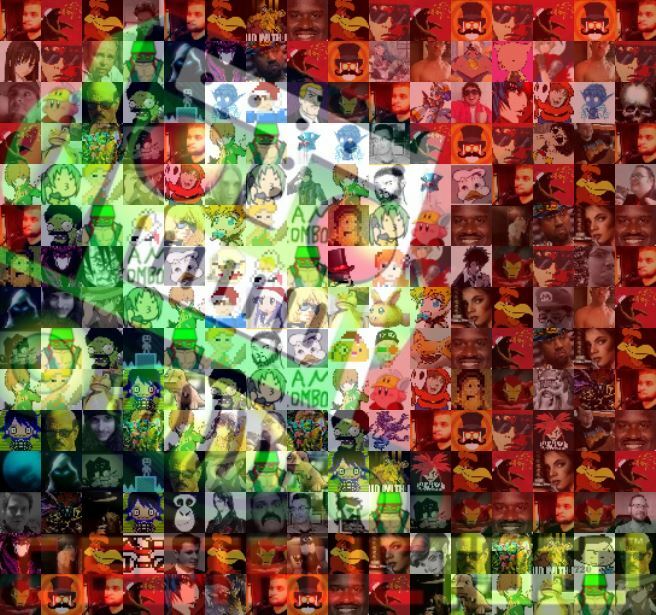 There would be a post here and there and I would eventually forget about it, thought I did have some interest in it. I’m glad I had a chance to experience this game. It has a lot going on and it ends up being one of those situations where I just want to know more about the world, but am left wanting for better or worse. To briefly summarize the game, you’re an unknown girl named six who is trying to escape imprisonment on a ship called the maw where children are chopped up and served as food to glutinous abominations who will eat almost anything, even you if you get too close. You even end up eating a few things yourself (from immense hunger pain) which when taken into account the nature of the food on this ship it’s likely that you are also eating children in one form or another. 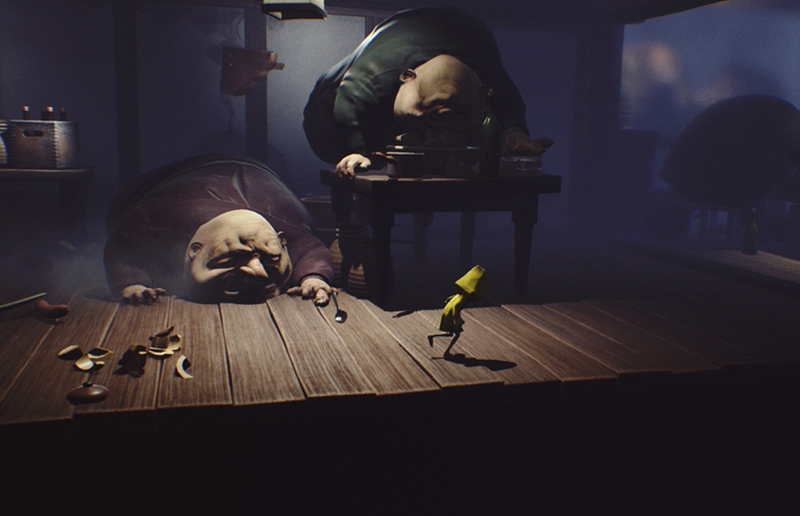 Hunger is a central theme in Little Nightmares. You see it all throughout the game expressed in various ways both physical and metaphorical. This theme specifically relates to Six, the protagonist of the game. As you progress you will find that six becomes incredibly famished and conveniently finds foods around her area to satiate her hunger; that is until her third bout of hunger. What happens then is horrific and I won’t spoil it. I was caught off guard myself and actually felt rather bad. I felt worse about it after finishing the DLC. By the end I actually started to wonder what Six is and her role in all this. Multiple theories abound but it is confirmed by the creator that six is not the masked Ladies daughter so anything pertaining to that can be disregarded. Personally I’m still not sure but I believe what Six represents is the title of the game. A Little nightmare for the Vanity obsessed Lady of the maw. You do confront her in the end and finishing the game means defeating her so it is possible that The Lady knows what Six can do and as a result keeps her locked away. This can be further supported by the death mechanics of the game. Should you die you wake up from the last checkpoint. If this is literally what happens in that world then The Lady clearly can’t kill her because she’ll just come back. That is why keeping her (barely) alive in a prison cell makes the most sense. As long as Six is locked up The Lady can continue her morbid affair of feeding these gluttons enourmous amounts of "food" so that she in turn can feed on them. In that light, the ending is a bit of a poetic twist. This is again just my theory. The game is fairly open ended so you can draw your own conclusions. If the story isn’t something you’re interested in however the game offers plenty of dark atmosphere with tension filled enemy encounters and fantastic horror themes. 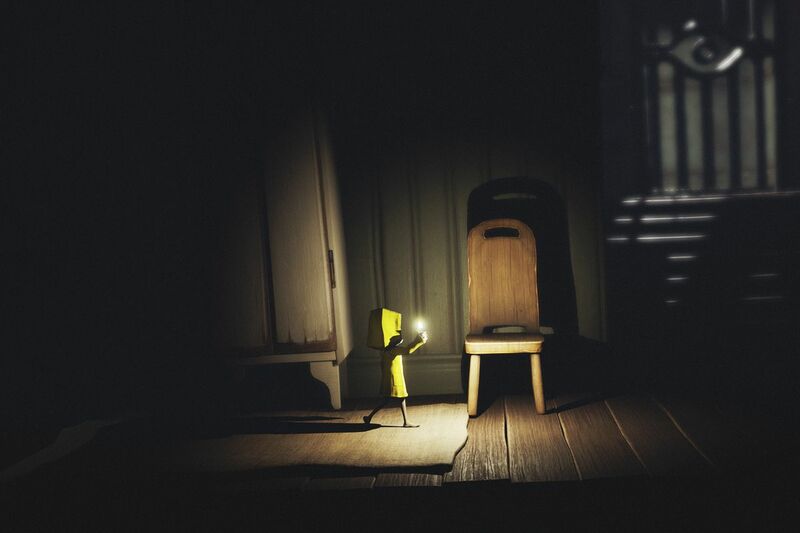 An excellent choice for those of you who want to play a horror game but may not have enough time to commit to a longer experience.